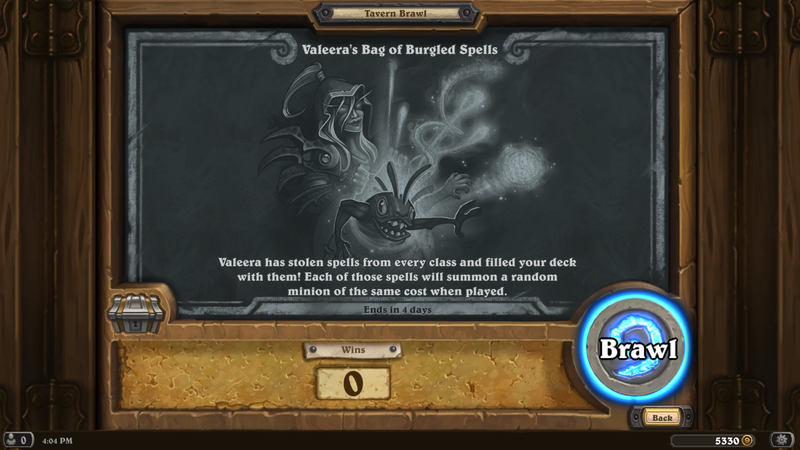 This week’s Tavern Brawl is an old favorite (or you hate it): Valeera’s Bag of Burgled Spells. It has one of my favorite mechanics: when you cast a spell, summon a minion of the same cost as the spell. Your deck is full of random spells from every class. The biggest (and really only) strategy is the cards you choose to replace at the beginning of the game. I’d keep at least one low cost card so you can put something on the board early. Keep in mind, if you get the coin, it will most likely play a 0/2 Taunt (Target Dummy). I think there is a 1/1 murloc, and possibly one other 0 cost card. This match is RNG heavy, and that continues every time you cast a spell! 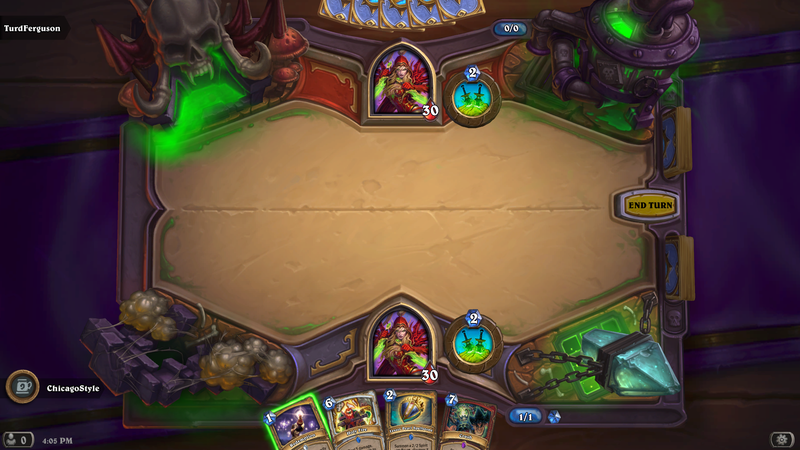 Since everyone is Valeera, there are not many dailies you can knock out with this brawl. For me, it will probably be one and done on each of my accounts. 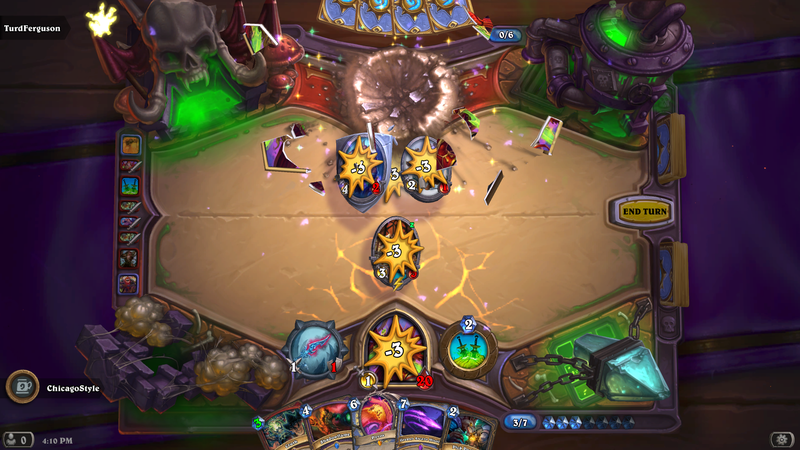 This entry was posted in Hearthstone and tagged Brawl of the week, Hearthstone, Tavern Brawl, Valeera's Bag of Burgled Spells. Bookmark the permalink.